The Leader Family Food Pantry at SJCC is excited to again this year host a large Passover food distribution. Since the introduction of the virtual pantry system to the pantry we have been able to reach clients who prior to now were not access the help they needed. Now with more clients and more of a focus on individualized needs we will host five distributions through the month of April. Clients are able to chose the food that they are most in need of via iPads at the pantry or remotely via our online portal. 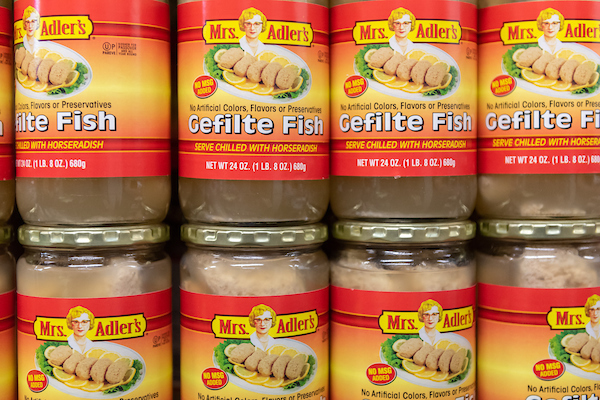 A typical family of four will receive matzah, matzah ball mix, tuna, gefilte fish, grape juice, canned mushrooms, canned tomato sauce, oil, ketchup, mayonnaise, chicken, onions, potatoes and eggs. I came to the United States in 2004. My wife passed away and my only child still lives in Russia. Bela helps me with any issue I have. I often am not able to leave the house and in those cases Bela comes to my home to help me with whatever I need. Without her help I would not be able to stay in my apartment.